I decided it would be the most fun if hubby had no idea whatsoever what we were doing, other than going out on a baby-free date. Then I came up with the idea of making printables with the destinations on them, and letting my husband open them along the way. ...and slid the printables into them in the order I decided to proceed on our date. Then, just because I thought it would be cute, I stacked the envelopes together and tied them together with twine. I was so excited about our date that I had a really hard time not spilling the beans to hubby beforehand, but I'm glad I didn't. A progressive dinner would be fun regardless, but since the entire thing was a surprise, I think it added an extra element of fun to it. 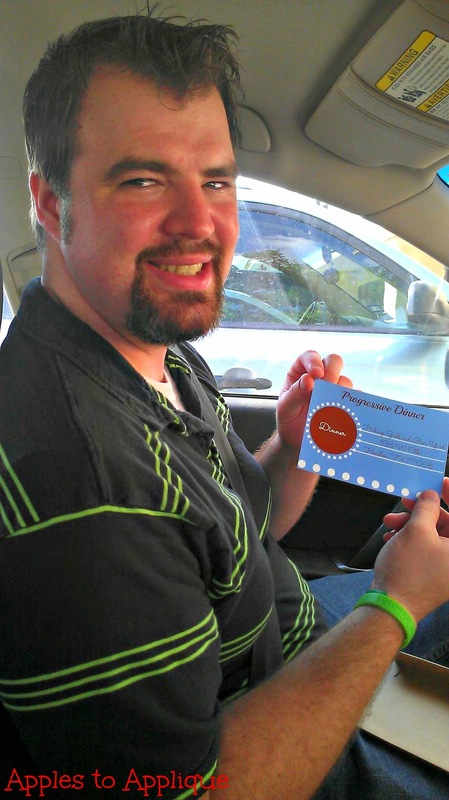 When we got into the car, I handed my husband the bundle of envelopes and told him to only open the first one. This was when we were still living in Houston, so for my Texas readers, I thought I'd list the places we went in case you wanted to try them yourselves. If you're reading from anywhere else, just make the date your own with places in your area! Appetizers and Drinks: The Cellar Door wine bar in Katy. I highly recommend it; the staff was knowledgeable and courteous, and we loved the comfortable lounge area to relax in. Dinner: Hubcap Grill and Beer Yard in Houston. This place has a fun vibe and delicious burgers with all kinds of interesting toppings. Entertainment: Lone Star Tobacco in Houston. Sounds like a strange choice for entertainment, but my husband has started collecting tobacco pipes, so I took him here to pick one out and to buy some specialty tobacco. If you're into this kind of thing, Lone Star is the place to go! Dessert: The Chocolate Bar dessert restaurant in Houston. This place is fun and funky, with every kind of chocolate dessert or confection you could possibly imagine. It's busy, loud, and crowded, but they do have amazing desserts. 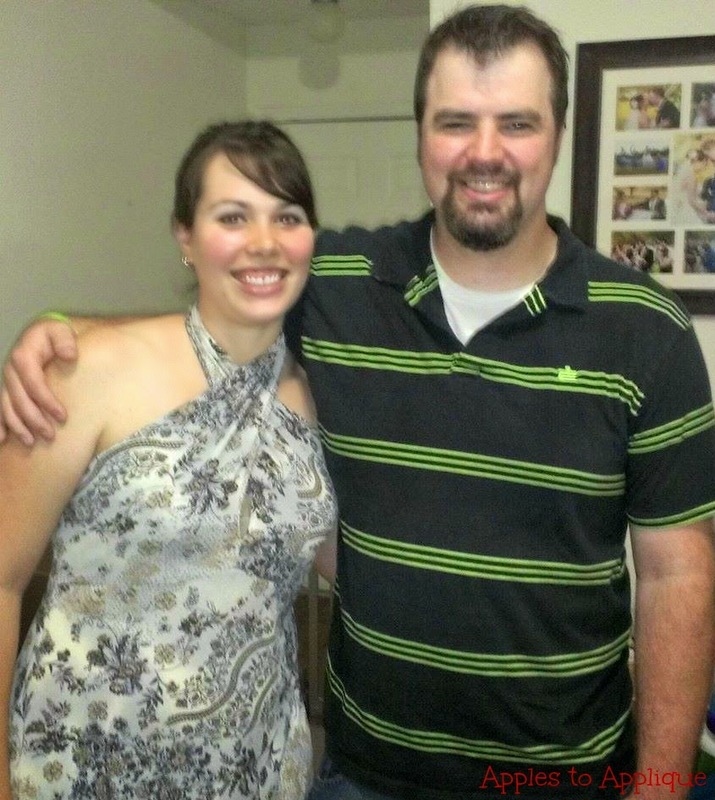 We had a great time on our date, and my husband said it was one of the best birthdays he's ever had! 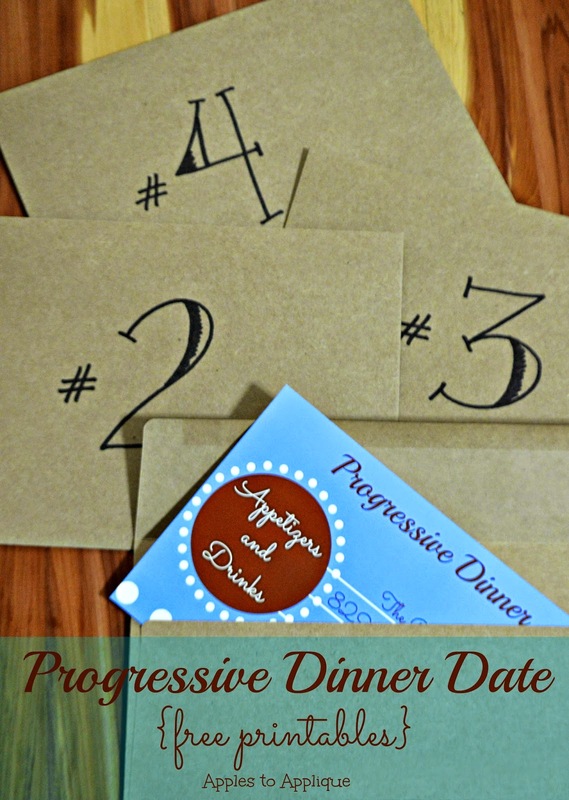 If you're looking for something new to do for date night, you should really give this a try! I think what made our progressive dinner such a success was the fact that I did a lot of research to find new places I was confident we would enjoy. If your loved one is less adventurous when it comes to trying new places, just take them to some of their favorite places instead of trying something new, so you know they'll have a good time. The printables below can be downloaded and then opened in PicMonkey for you to add text to write your destination and address, or you can print them as-is and write the destinations in by hand. Right-click the images and then click "download" or "save image as". I hope you enjoy your progressive dinner date; leave me a comment about it, I would love to hear from you! How cute! These are such awesome ideas. Thanks, Daisy! I had so much fun putting it all together. These are really nice awesome ideas,Next time I will try for my daughters birthday. This would be awesome to do for a child's birthday! I think any kid would like to go on a secret birthday adventure. So fun! I definitely need to try this with my guy. I bet he'll love it, especially when you customize it with his favorite places. This is awesome. I am going to try this out myself. Very different and unique. I hope you have as much fun with it as we did! Congratulations on being so creative. You made your hubby a memorable birthday evening and he knew you worked hard to make this day special. We've been married for 53 years and we love date nights, even if the date is at home. Congratulations on 53 years! That's awesome, and I aspire to be there one day. Yes, even at-home date nights can be fun and special; it's all about spending time with your loved one. Wow! What a fun date idea! Thanks, Ashley! We had a great time. This is such a cute, thoughtful and romantic idea. I would definitely do something like this if only I had someone to do it for. He is one lucky man. Aww, thank you, Kimberly! One of my other readers mentioned doing this for her daughter; I think it would be great to do for anyone special in your life! Thanks for the great idea Amber! 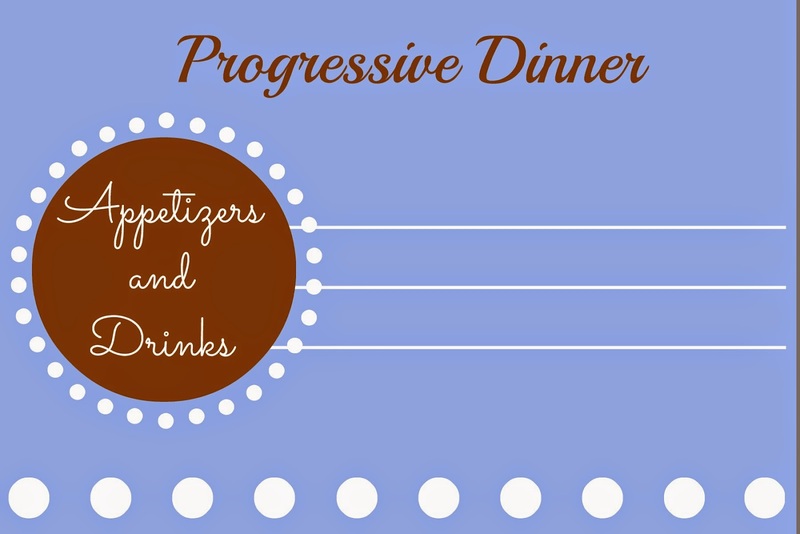 I have done progressive dinners in the past...but always with a group of people going from house to house. I decided the perfect time to try this was for Terry & my 31st Anniversary. We started with appetizers at Oeno's, then dinner at Sabor (a great Latin American place). Since we were in Old Town we did a "little" shopping as well. We talked about possibly a movie at the Warren Old Town, and then coffee & dessert at Old Chicago. But since Terry had been up since 430am we opted to finish our night at home with a good movie and coffee and ice cream. :) Still a wonderful, slow paced evening, with plenty of time to visit. For us, choosing the Old Town area was a big plus...only had to drive to one spot and then park and walk to everything! An added bonus was watching swing dancing in the Old Town Square, as well as children playing on the water pad area. Great time! !